There are two types of Linux users -- those that think GNOME 3 is the overall best desktop environment, and those that are wrong. 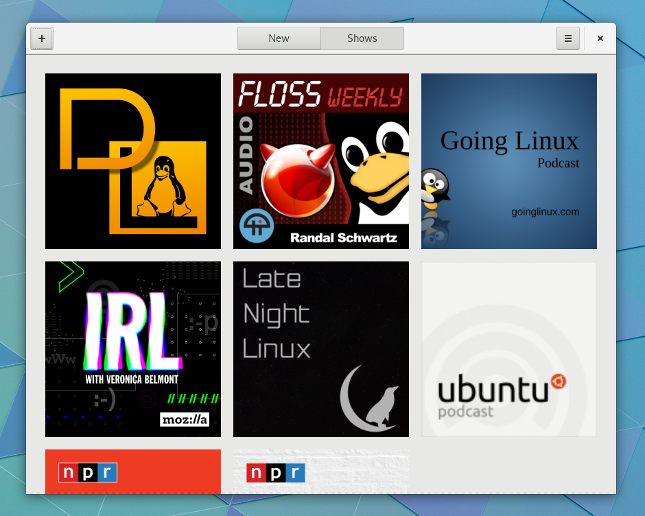 Yes, if you use Linux on the desktop, you should be embracing GNOME for optimal productivity. Sure, other DEs such as KDE Plasma, Xfce, and Cinnamon are good, but they simply pale in comparison. Today, the latest version of the desktop environment -- GNOME 3.30 -- sees release. It is has been dubbed "Almería," which apparently is the Spanish city in which this year's GUADEC conference was held. As you can expect, it is chock-full of new features, bug fixes, and improvements. In fact, there are an insane 24,845 changes! The GNOME developers claim it will use fewer system resources too -- nice! There is even a new podcast app -- the simply named "Podcasts." "Software, the GNOME software manager, can now automatically update installed Flatpaks. Flatpak is an emerging technology that makes getting apps fast and secure. Many new apps are already available on Flathub, a repository of curated Flatpaks. Simply switch on the option to update Flatpaks, and Software will make sure you have the latest Flatpaks all the time," says The GNOME Foundation. The foundation further explains, "Boxes, the GNOME virtual machine application, can now connect to remote Windows servers using the Remote Desktop Protocol (RDP). This makes managing Windows Servers as seamless as possible, letting you concentrate on the task at hand instead of worrying about connection protocols and remote access. Boxes also now has the ability to import OVA files, making sharing virtual machines even easier." 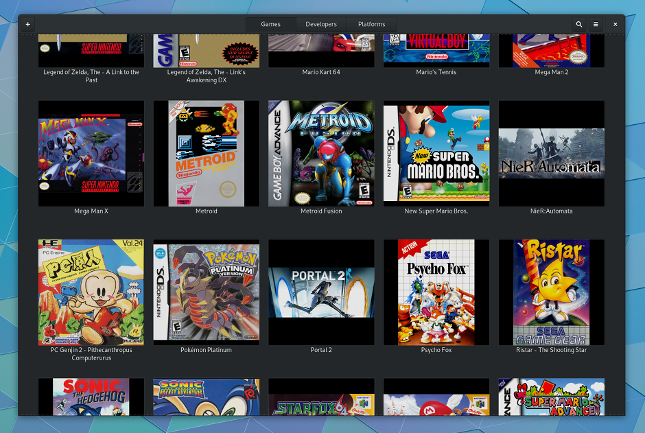 Retro gaming fans will love the updates to the Games emulation app. If you are on the go and don't have a gamepad, you can now more easily map the buttons to the keys on your keyboard. Will playing these games with a keyboard be a great experience? Probably not, but it is better than nothing -- you will appreciate it if you are stuck in an airport with nothing to do, for instance. ALSO READ: Happy 25th Birthday, Debian Linux! 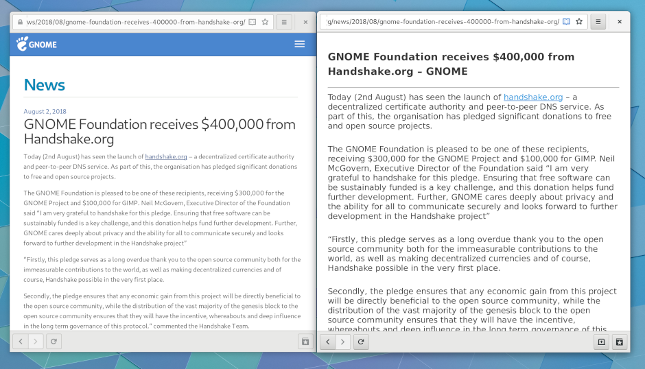 The developers have also improved the native GNOME web browser -- the unimaginatively named "Web." While I appreciate that this browser exists, let's be honest -- both Firefox and Chrome are superior. But OK, if you actually use Web, you can look forward to the new "minimal reader view". This will remove all content other than text, making it easier to read your favorite blog, such as BetaNews.com. The GNOME Foundation also shares additional updates below. Files, the GNOME file browser, features a more streamlined location and search bar, helping you find the files you want faster. Settings has a new panel to manage Thunderbolt devices, and now dynamically shows hardware-related panels only when relevant hardware is detected, keeping the list of panels clean and relevant to your computer. The Initial Setup Assistant has an improved avatar selection interface, showcasing the new suite of avatar images. Notes, the GNOME note-taking application, boasts improved notes style and zoom controls, making notes more readable and easier to use. The Disks application can decrypt and mount storage volumes encrypted by VeraCrypt, allowing you to share important content more securely. As is typical, if you want to try GNOME 3.30 today, you probably can't. You will have to wait for the packages to become available for your favorite distribution. Some Linux-based operating systems only introduce major GNOME updates when the operating system itself achieves a significant upgrade, so you may be waiting quite a while. Sigh. Oh well. It will definitely be worth the wait.